The Galaxy Nexus for Sprint may have felt like an afterthought to many, but it seems that the Nexus device is finally getting the update love that it deserves. 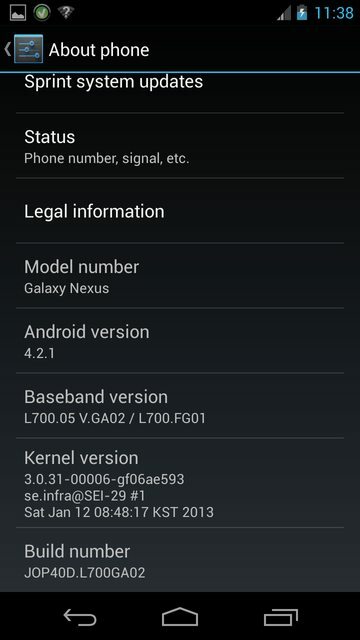 While this is far from being official from Sprint or Google, a build of Jelly Bean, Android 4.2.1 has been leaked over at SXTP Developers and can be flashed through ODIN right now. Part of the beauty of having a Nexus is unlocking and flashing your own ROMs on top of it, but for those who are looking to keep things stock this is a good sign. No word on when anything will be coming down from Sprint themselves, but this build looks solid overall. Installation and download can be found at the source link below.